Boils are red swollen bumps that feel hard in the beginning and tend to get bigger before becoming soft and developing a head. They can be painful and unfortunately, can spread. Multiple boils in an area are called carbuncles. Usually, they are caused by a bacteria called Staphylococcus aureus which is part of a group of bacteria called staphylococci (or staph for short). Boils can occur anywhere around hair follicles or oil glands in the skin. Sometimes cuts can also cause boils to form (1). People with poor nutrition, diabetes, obesity, a weak immune system, poor hygiene, or skin conditions like eczema or psoriasis are at risk of developing boils. Unless the infection becomes more serious you can easily use essential oils for boils at home. 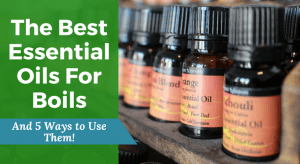 How Do Essential Oils help for Boils? There are numerous studies on how effective various essential oils are due to antibiotic resistance becoming such a big problem, they are even used in medical settings. Using essential oils for skin boils is also more affordable than a visit to the doctor. Essential oils have been shown to be more effective than antibiotics at treating various topical bacterial infections (2). Essential oils are able to kill staphylococci including Staphylococcus aureus (3, 4). Essential oils are anti-inflammatory which helps to reduce pain as well (5). You may have heard that you can use essential oil for a skin abscess too. This is because they are also caused by a staph infection. They are almost the same as boils but generally, the infection is deeper. You can use the same remedies mentioned below. Essential oils are best used diluted to reduce the risk of skin irritation. You can use one or a combination of essential oils to treat various aspects of the boils. For example, cypress, cedarwood, sage, lemongrass or rosemary are great essential oils to draw out boils. Tea tree, cinnamon, basil, and geranium essential oils kill the bacteria. Lavender, cloves, lemon balm and oregano essential oils reduce the inflammation. Combine a few drops of different essential oils with each remedy. If not, essential oils like rosemary and sage are all-rounders. Don’t pick at your boils or scratch them as this can spread the infection. Wash the boils or abscess before each treatment as well as your hands. 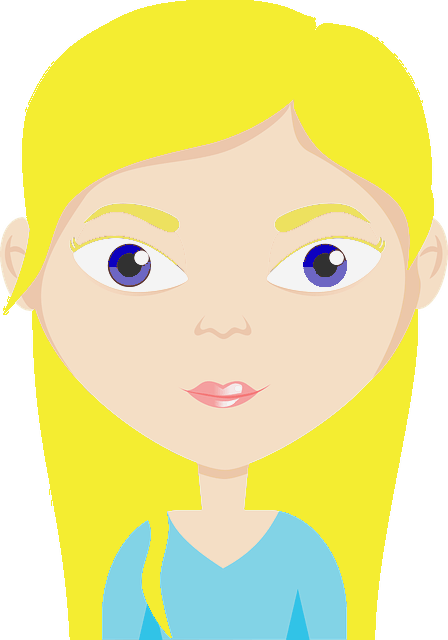 Hot compresses are great for relieving pain and also help to draw out the boil. You can apply the hot compress a few times a day. Put some hot water in a bowl. Add 10-30 drops of essential oil. Stir to mix it and then soak a face cloth in the mixture. Squeeze it out and apply it to the boil (make sure that it’s not too hot first). Leave the cloth there until it cools. You can do this for up to 20 minutes at a time, so you can repeat the process if you’d like. Gently dry your skin when you are done, using a paper towel can minimize the risk of the infection being spread via your cloth towels. Epsom salt is also a very effective remedy for boils because it helps to draw out the pus and dry the boil out. Prepare the hot oil compress as instructed in remedy 1 but add a teaspoon to a tablespoon of Epsom salt too. You can leave it on as you would the original hot compress and dry your skin gently afterward. Note: Just be careful about using Epsom salt if you have a heart condition or varicose veins. Speak to your doctor first. Not only is soaking in a bath relaxing, but you can treat your boils at the same time. Simply add 10-40 drops of essential oil to the bath depending on how strong you want it. You can also add in a cup or two of Epsom salts if you want to. Make sure that your boils are fully submerged. Soak for 15-30 minutes before getting out and gently drying your skin. A carrier oil is simply an oil that you dilute essential oils in. This remedy is good for if you don’t have time to use a hot compress or to soak in the bath. Dilute your essential oils at a ratio of 5-20 drops of essential oil per tablespoon of carrier oil. Mix it and either apply some to a bandage, the absorbent pad of a band-aid, or a cotton ball. Apply it to the boil. You can use sticky tape to keep the bandage or cotton ball in place. Leave it on for at least a few minutes. You can also leave it on for a few hours or overnight. Like Epsom salt, baking soda dries out boils and helps to draw the pus out. If you find that the baking soda paste is too drying, you can use corn flour or arrowroot starch instead which also help to dry the boil out. Use a teaspoon to a tablespoon of baking powder depending on how much you want to make. You can use corn flour or arrowroot starch in the same ratios. Add enough water to make a paste. You can use a carrier oil instead if you prefer. Add 5-15 drops of essential oil. You can also add turmeric to relieve inflammation. Just be careful as it can stain your clothing. Mix it all together and apply to your boils. Leave it on for at least 10 minutes. You can also use this remedy for a few hours or overnight. You may want to use a band-aid, or a cotton ball or bandage with some sticky tape to keep it from rubbing off. Speak to your doctor before using essential oils if you have health conditions such as heart problems or a bleeding disorder, if you are on medication of any kind, are pregnant or breastfeeding as essential oils can interact with medication and hormones. Not all essential oils are safe to use around or on young children or pets so research the essential oils that you would like to use before purchasing and using them (8). Do a patch test before treating your boils with essential oils just to be sure that you don’t have a sensitivity to them. Not all essential oils are safe to use orally or to consume. Rather stay on the safe side and don’t ingest them unless you are using them under the guidance of a qualified naturopath or homeopath. Wash your hands before and after treating your boils or abscesses. Keep your boils or abscesses clean and wash them if the pus comes out as the pus contains the bacteria. Don’t share any towels, face cloths, or clothing to prevent the spread of the bacteria and future staph infections. Eat healthily by cutting out or limiting sugar and processed foods. Rather eat lots of fruit, vegetables and switch to whole grains instead. This will boost your immune system. If the boils become worse instead of better or you develop swollen glands and/or fever, see your doctor for treatment as soon as possible. You can find additional remedies for boils here. If you don’t like essential oils or carrier oils, why not try milk instead? Which remedies do you find helpful for boils? If any of the essential oil remedies have worked for you, please let us know.